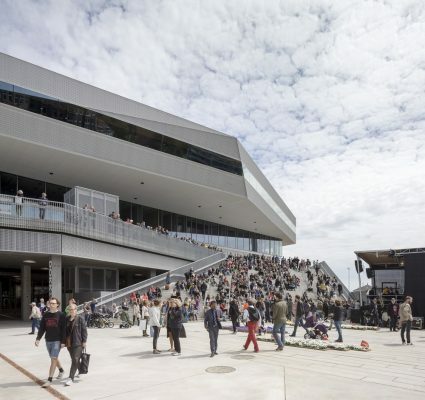 Monday 15th August, Dokk1 in Aarhus, Denmark, designed by Schmidt Hammer Lassen Architects, was announced winner of the Public Library of the Year Award 2016 at a ceremony during the International Federation of Library Associations and Institutions (IFLA) congress in Columbus, Ohio. 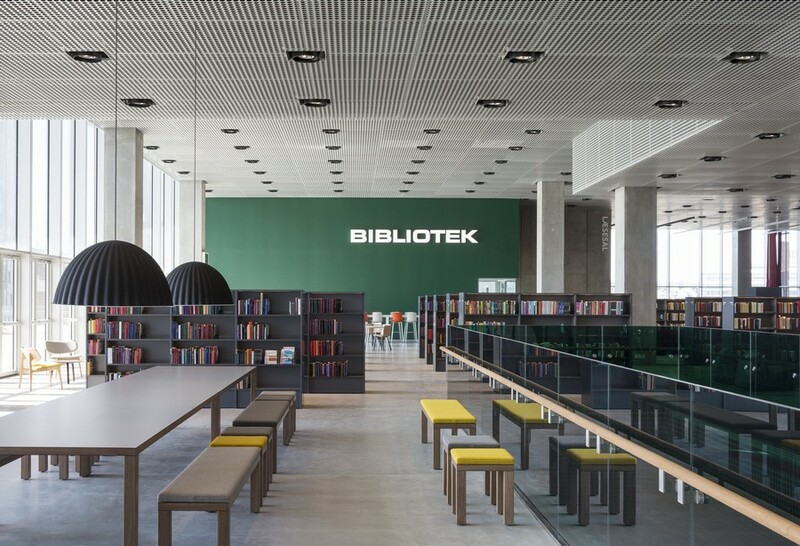 The international panel of judges recognised Dokk1 as a true library of the future that embraces new digital developments, user demands, local culture, and a desire to accommodate diverse population groups within an open and functional architectural expression. 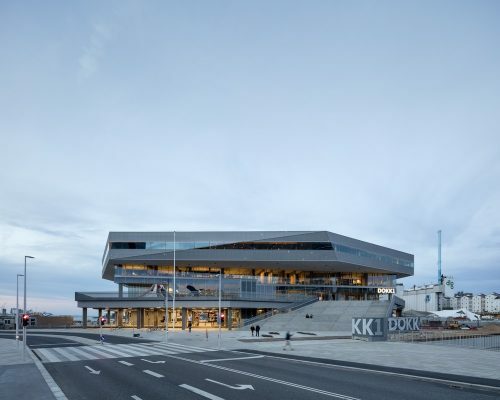 Completed in June 2015, Dokk1 opened as the largest public library in Scandinavia housing a citizen service centre, office space, automated parking for 1,000 cars and new harbour-side public squares. Situated at the mouth of the Aarhus River in one of the most prominent sites of the city centre of Aarhus, the 35,600m2 building is designed as a place for exchanging knowledge and opportunities and a multicultural meeting point. 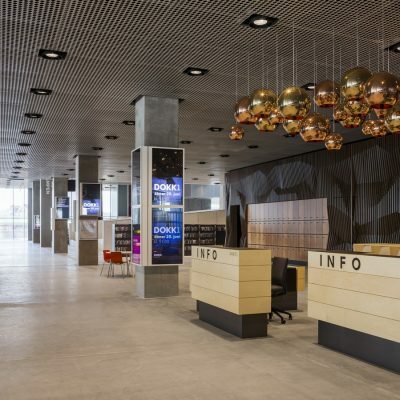 Dokk1’s popularity was instant; within 7 months of its opening Dokk1 had welcomed in excess of one million visitors. “Dokk1 is a covered urban square – an undulating landscape that facilitates learning, knowledge sharing, innovation and a sense of community. 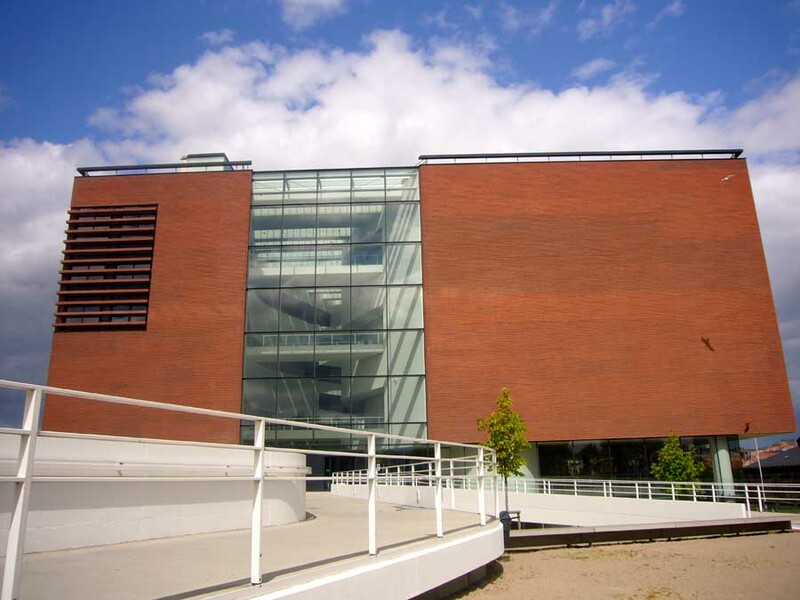 Our goal has been to create a stimulating and dynamic environment at this unique location that fosters valuable and meaningful relationships between people; a cultural centre that everyone can see themselves in. 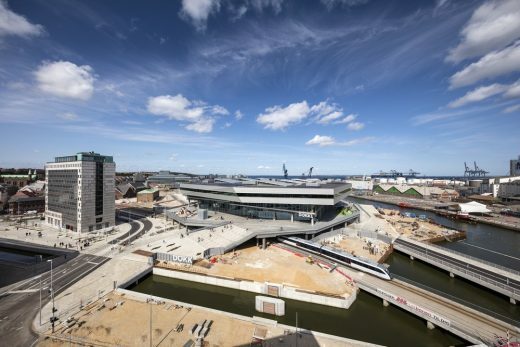 Architecture, with all its supporting disciplines has served to fulfil this greater ambition and we have been overwhelmed by how the people of Aarhus have embraced Dokk1 since opening day”, says Senior Partner Kim Holst Jensen, Schmidt Hammer Lassen Architects. Schmidt Hammer Lassen Architects are internationally acclaimed for its open and public approach to architecture and has an extensive track-record of designing libraries; including the extension to the Royal Library in Copenhagen, Denmark, the RIBA Award-winning Sir Duncan Rice Library, University of Aberdeen, UK and the Governor General’s Medal winning Halifax Central Library in Nova Scotia, Canada. Current library designs are under construction in Ningbo China as well as Christchurch, New Zealand. 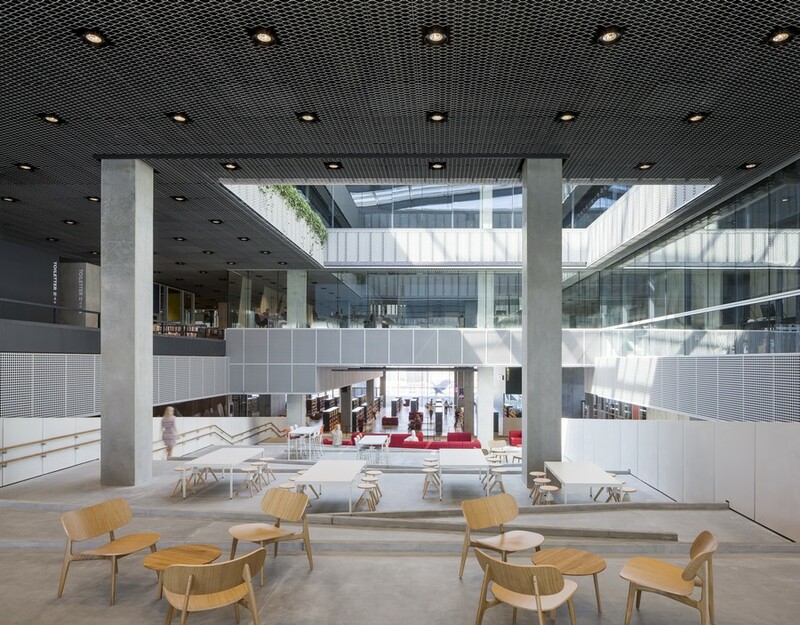 This year, the practice won its first major project in Australia with the major re-development of State Library Victoria in Melbourne. 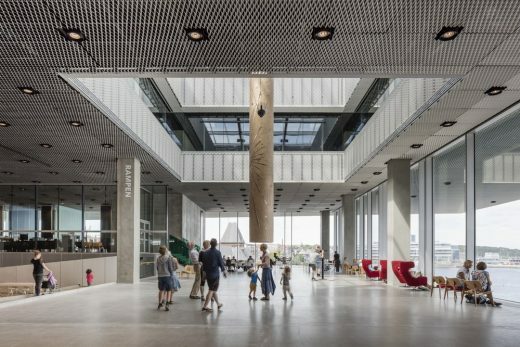 2015/06/19 – When Dokk1 opens its doors to the public on Saturday, 20 June, it will be the largest public library in the Nordic countries, representing a new generation of modern, hybrid libraries. 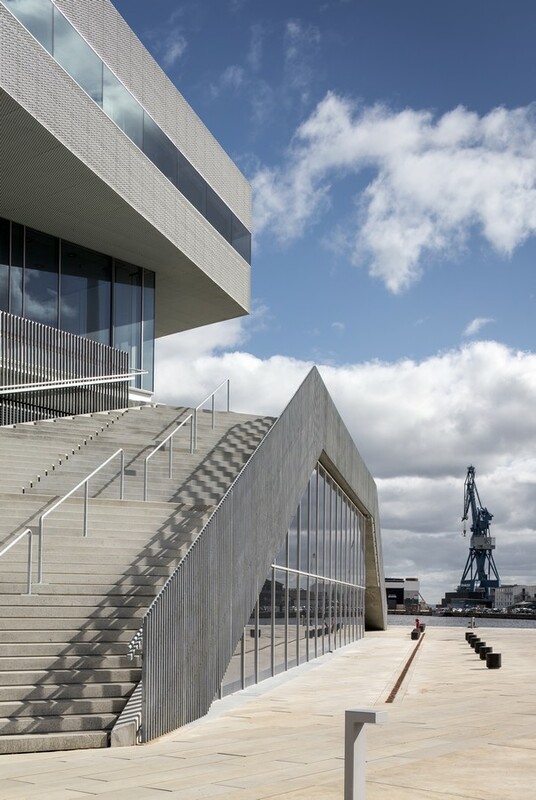 The 30,000 square metre building is part of the Urban Mediaspace project, which is transforming the harbour front of Aarhus. 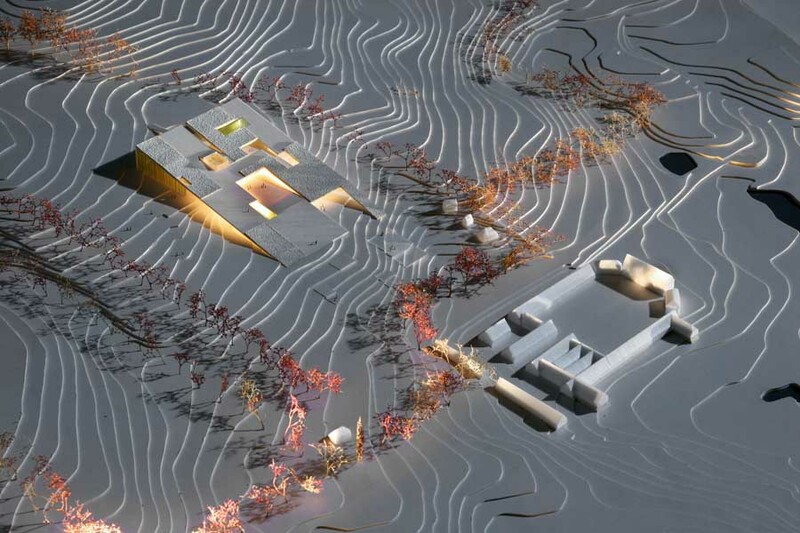 The project houses the new library, a citizen service centre, automatic parking for 1,000 cars and new harbour-side public squares. 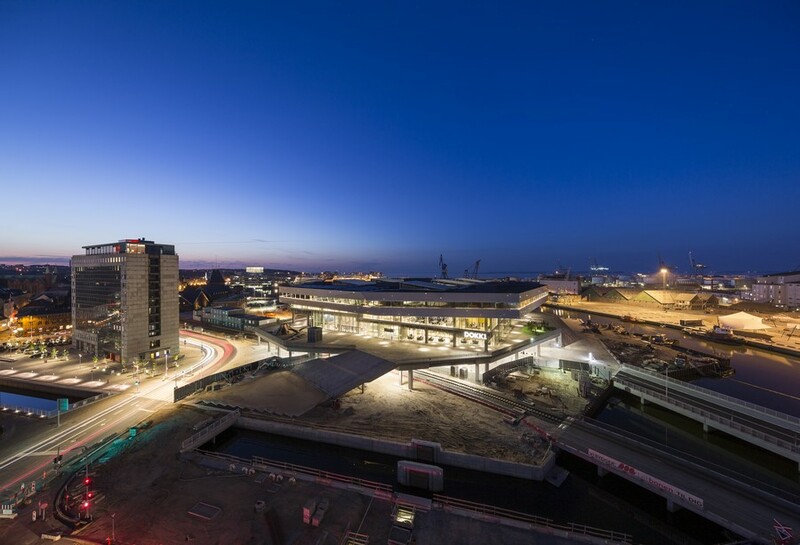 With a budget of over € 280 million, it is the largest construction project by the Municipality of Aarhus in the city’s history. 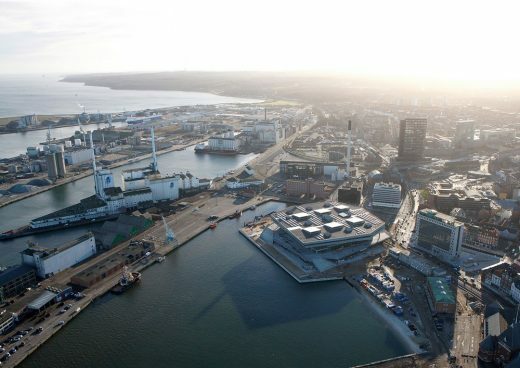 The large polygonal building is located at the mouth of the Aarhus River, connecting the city with the port and water. 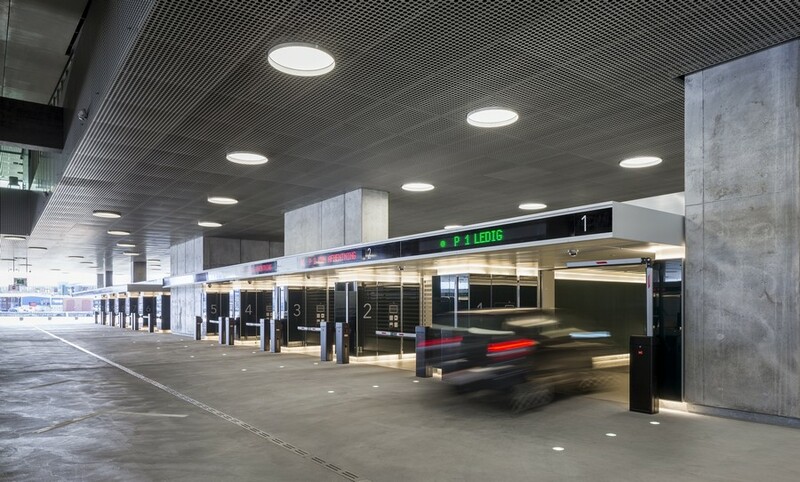 Flanked by forests to the north and south, a recreational belt has been created through which a new light railway will run with a dedicated station at Dokk1. 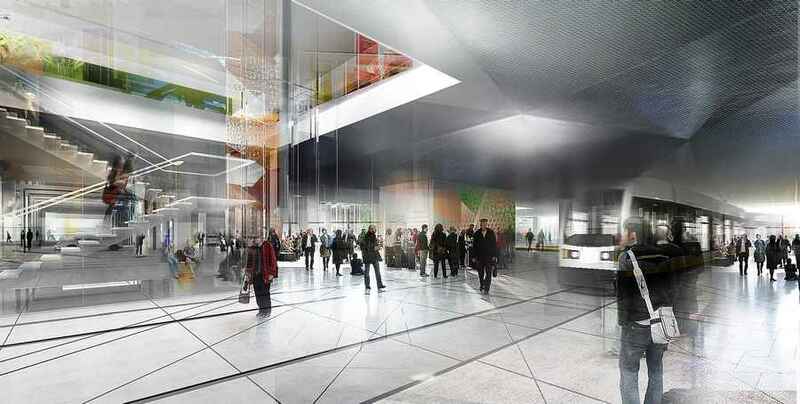 Road traffic will be redirected, so that it has direct access to the large under-ground car park beneath the building. New cycle paths run through the scheme that in-cludes over 450 bicycle parking spaces. 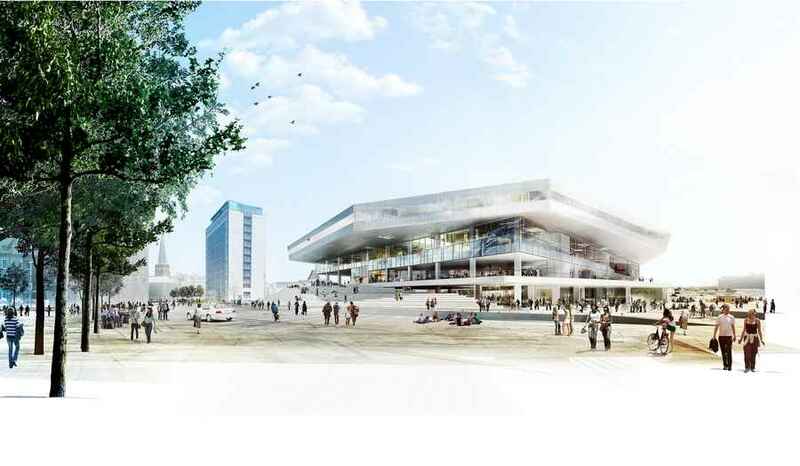 Dokk1 will become a new hub and metaphorically the “hinge” that opens up to new experiences in Aarhus city. Dokk1 is designed as a polygonal slice that hovers above a glazed building resting on a podium with large sculptural stairs. The stairs fan out to street level and the new harbour promenade surrounding the building. 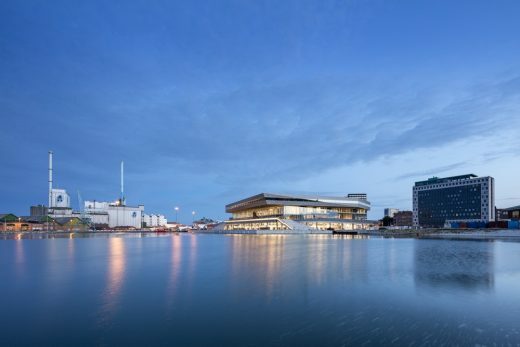 The glass building is designed as an open urban space with 360-degree views of the water, harbour, forest and city. 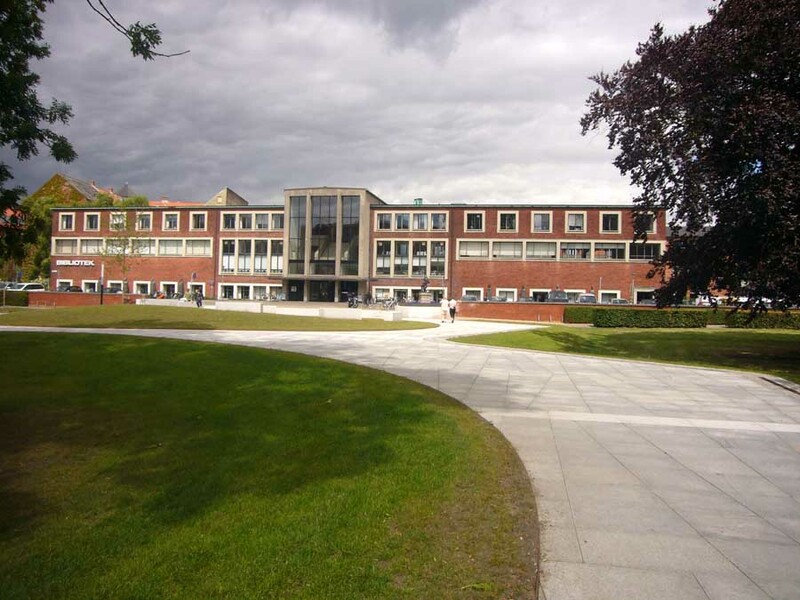 The building has no clear front or back, which is emphasised by the multi-edged top slice that creates the impression of rotation and movement. 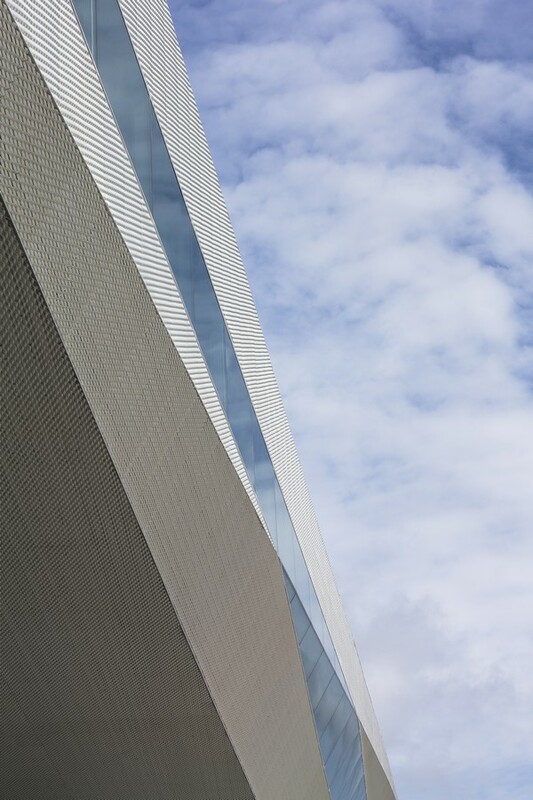 The facade is made of expanded metal, the scale of the city and harbour is reflected in the design, which twists, breaks and turns. 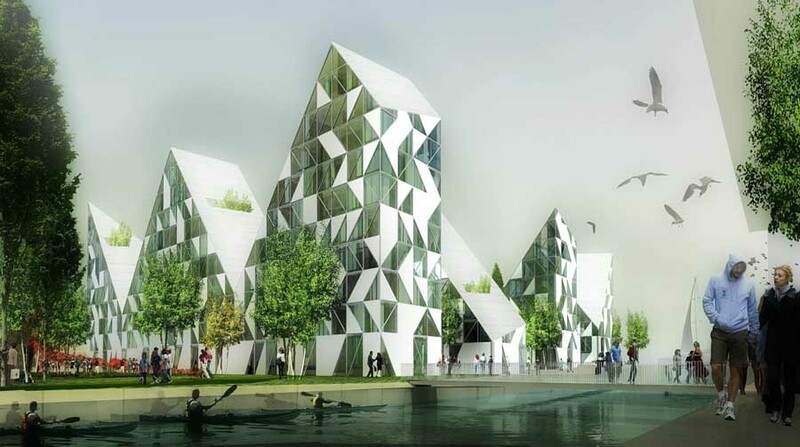 The concept of the façade design is an interaction with the height of the surrounding build-ings and the scale of the port with reference to large elements, such as cranes and ships. 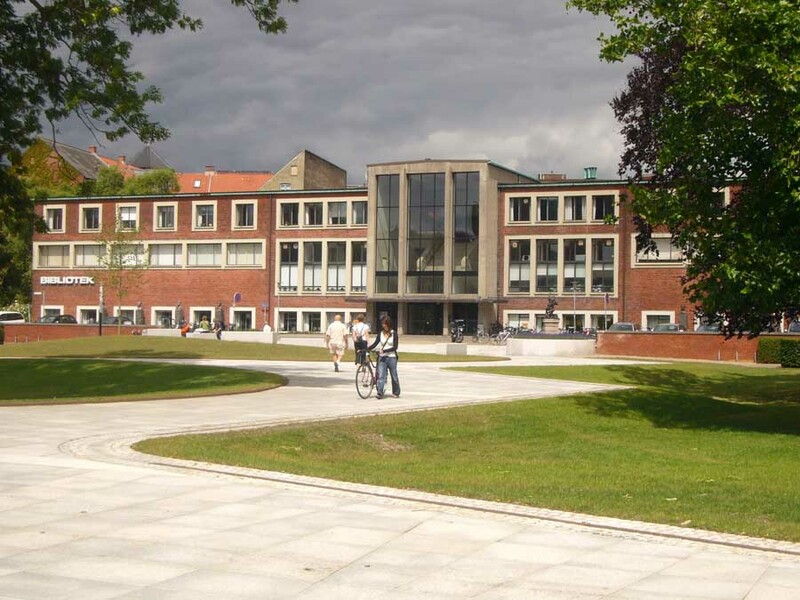 The polygonal top floor contains the municipal administration offices along with rental offices. 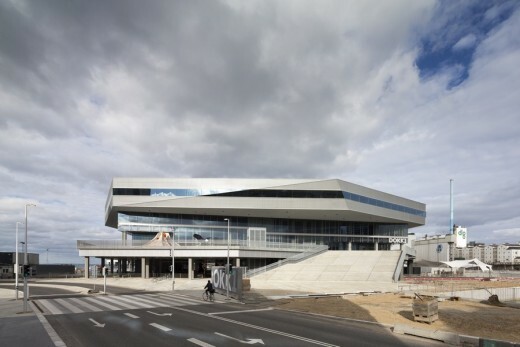 The two open levels of the library are connected by the media ramp, which con-sists of five platforms, each dedicated to an activity: exhibitions, gaming, interactive workshops, reading and events. 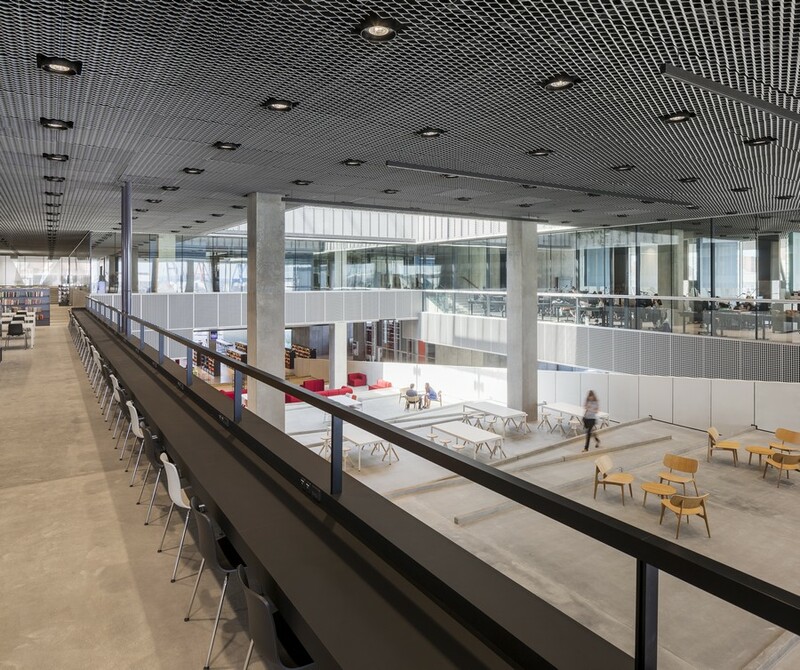 Combined with the literature and media sections, the media ramp offers a meandering path of activity through the building leading up to the children’s area on the top floor. 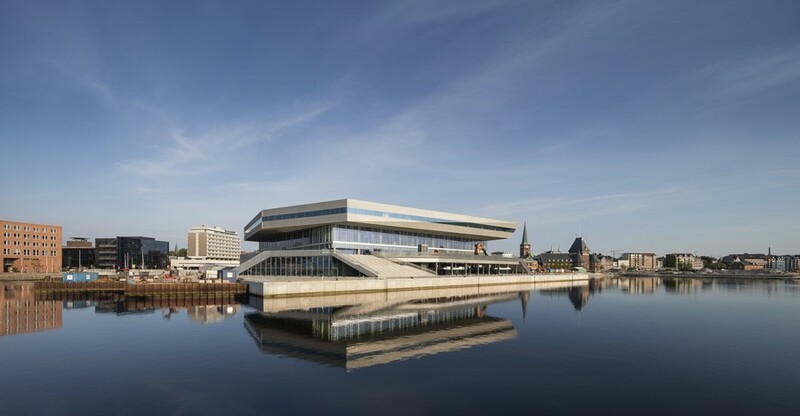 The development of Dokk1 has in many ways influenced how schmidt hammer lassen designs libraries around the world. One example is in the handling of the public consultation, from which we have learnt large amounts. For Dokk1, this process directly influenced the size of the multi-hall and the design of information in the reception area. 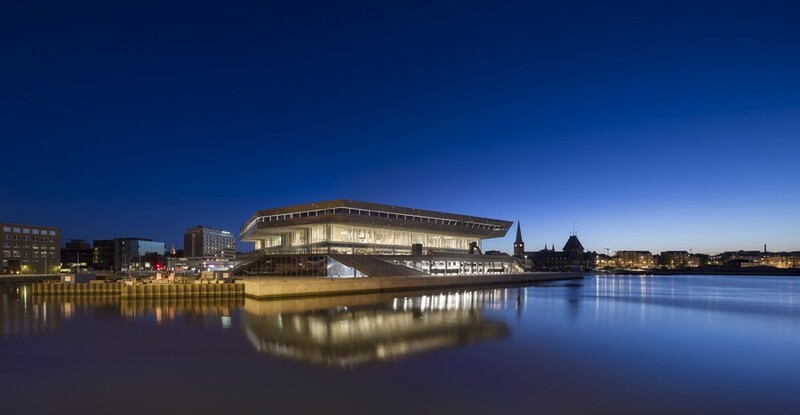 schmidt hammer lassen architects has extensive experience of designing libraries. The most renowned of these being the extension to the Royal Library in Copenhagen, Den-mark, and the RIBA award-winning University of Aberdeen New Library in Scotland. Last year, two Canadian libraries opened in Halifax and Edmonton and in 2018 a new central library in Christchurch, New Zealand, will open. 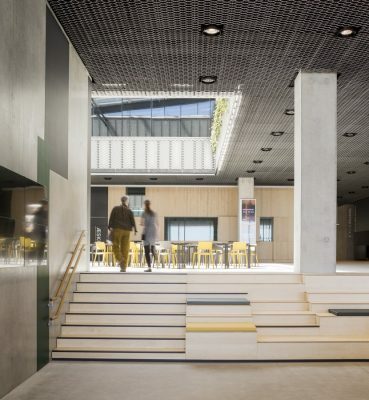 Earlier this year, Dokk1 was awarded a commendation in the category “Cultural Regeneration” at the 2015 MIPIM Architectural Review Future Projects Awards. 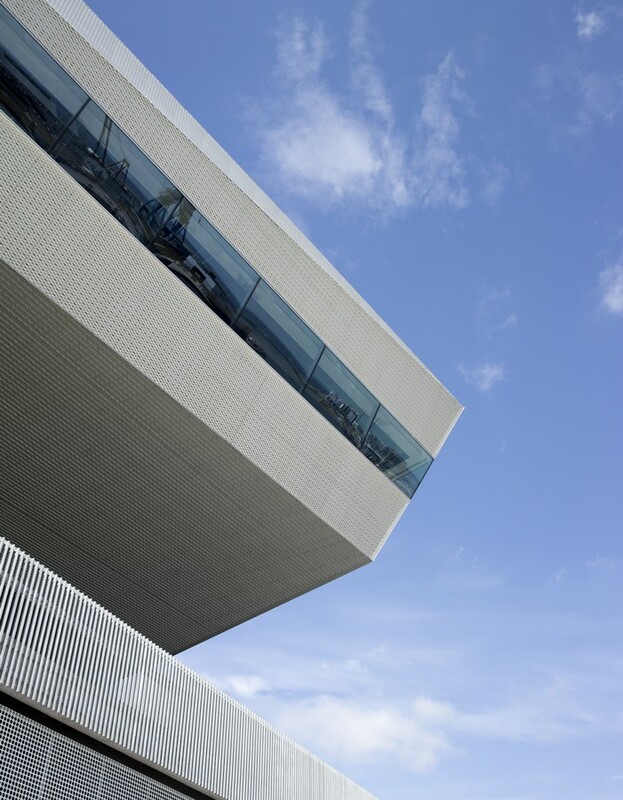 Sustainability: The building meets the requirements of the Danish 2015 energy classification and has 3,000 m2 of solar cells on its roof. 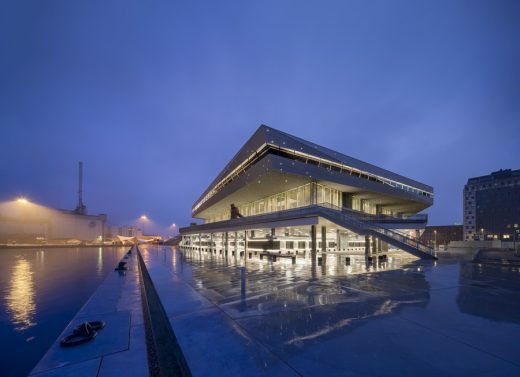 schmidt hammer lassen architects and the City of Aarhus have been selected to receive a Best Collaboration Award 2012 for their extensive cooperation in creating the largest public library in Scandinavia : Urban Mediaspace. 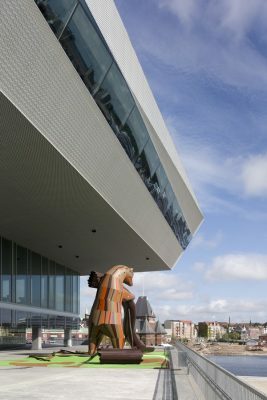 The Best Collaboration Award, an EU-initiative, rewards the best examples of collaboration between partners from the creative industries sector and local governments in the North Sea Region of the European Union.